Origin Curry leaf trees are accustomed in the waste land and forests in the Indian subcontinent other than Himalayas. Curry leaf oil is extracted from the leaves of the curry leaves. Firstly, wash the curry leaves and air dries it. Then heat the pan adding a coconut oil and add the curry leaves. Then pour the oil in a bottle by adding the curry leaves. Curry leaves oil is helpful for the hair and scalp for the nutrient absorption. It is helpful for strengthen hair, hair loss, hair growth, enhance natural shine and prevent premature graying of hair. In Hindi, curry leaves are called Kadipatta and in Tamil, it is called karuvepillai. It helps to treat hair related ailments. Curry leaf trees are accustomed in the waste land and forests in the Indian subcontinent other than Himalayas. It is widely distributed in Ravi river of Pakistan, Chittagong in Bangladesh, Assam in India and Tamil Naidu in India. It was expanded to South Africa, Malaysia and Reunion Island. Curry leaf oil is beneficial for the hair related problems as well as maintains the overall health. It possesses antioxidant, anti-inflammatory, anti-diabetic, stimulant, anti-carcinogenic, anti-dysenteric, carminative, stomachic, antiemetic, appetizer, purgative, analgesic, diuretic, detoxifier, anti-aging, antimicrobial, hepatoprotective, aphrodisiac, revitalizing, depurative, fungicidal, insecticidal, anti-hypercholesterolemic, deodorant and lipolytic properties. The essential oil of curry leaves is rich in iron, minerals, Vitamin C, B, A and E. It has been used externally as well as internally in Ayurveda for the hair care. It is a great source of antioxidants that assist in contraction of tissues and muscles. It also strengthens the roots of the hair and prevents hair fall. It prevents premature graying of hair and treats skin pigmentation problems as well. Curry leaf oil is an adequate source of Vitamin A that is essential of the eye retina for forming rhodopsin that assist the vision health. It brightens the eye vision and slows down the onset of cataracts. One drop of Curry leaf oil could be added to the steam inhalation for washing face. Or add one to two drops of curry leaf oil in almond oil and then massage the face with this mixture. Curry leaves essential oil is a source of calcium, Vitamin C, zinc and folic acid. Two drops of essential oil could be added to a cup of warm water and use it to gargle. This strengthens gums and teeth and provides freshness to the breath. Additionally it possesses antibacterial, antimicrobial and antifungal properties. This essential oil also promotes the salivation process. Skin reflects the entire system health. This curry leaf oil has antioxidant and antimicrobial properties that assist the skin protection from tanning. Massage skin with the mixture of 2.5 ml of Jojoba oil and 5 drops of curry leaf oil, this helps to lower wrinkles and prevents signs of aging. 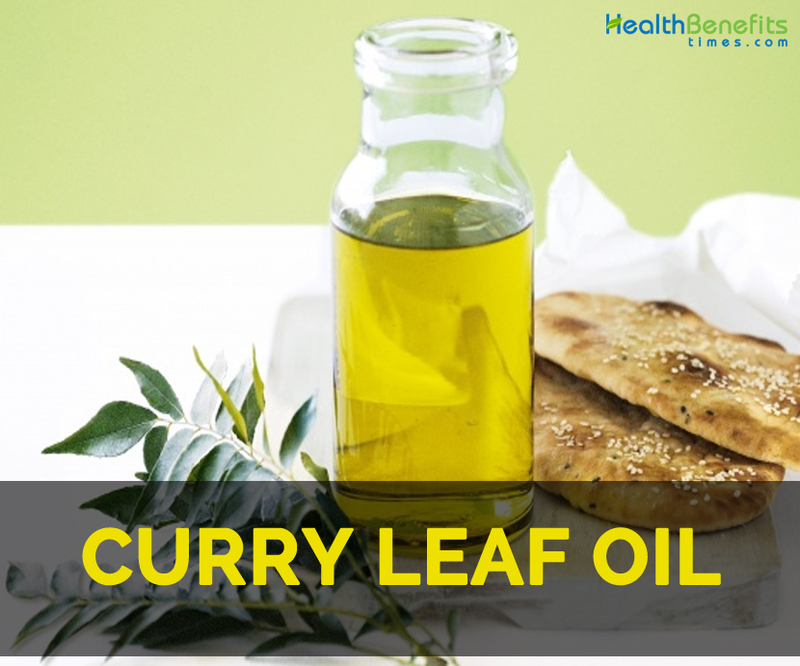 Two drops of Curry leaf oil could be added to the regular skin care cream and lotion. It helps to counteract virus, bacteria and fungi that is associated with the problems such as athlete’s foot, pimples, itches, ringworm, boils and acne. Curry leaf essential oil helps to treat diabetes as it possess hypoglycemic properties. It helps to slow down the breaking of start into glucose that leads to low level of glucose dispersed in bloodstream. Massage with the mixture of 3-4 ml of sesame oil, 6 drops of Curry leaf oil and add two drops of this oil to the bather water. This helps to counteract diabetes mellitus and control the level of blood glucose in the body. Curry leaf oil acts as a stimulant, anti-dysenteric, appetizer, stomachic, antiemetic and carminative. It promotes the secretion of digestive enzymes and supports digestion. It is a purgative to regulate the bowel movements. It alleviates the digestive problems such as vomiting, diarrhea, nausea, piles and constipation. Massage abdomen and tummy with the mixture of 2 ml of sesame oil and 4 drops of curry leaf oil or two drops of this essential oil could be added to the diffuser or vaporizer. Add 3 drops of curry leaf oil to the warm bath water to provide relief from indigestion, stomach upset, loss of appetite and irregular bowel movements. Curry leaf oil has high content of carbazole alkaloids that helps to aid metabolism of fatty acids and fats in the body. It lowers the bad cholesterol from the body. It helps to treat high cholesterol level and obesity. Inhale the aroma, by adding two drops of essential oil to the burner in order to maintain the HDL cholesterol level. Being a depurative and detoxifier, this essential oil helps to eliminate harmful toxins from the body. It also eases the frequency and quantity of urination. It is an aid for lowering inflammation which is caused because of toxin deposits, water retention, uric acid and excess salt. Massage the painful or inflamed parts with the mixture of 1 ml of olive oil and 2 drops of curry leaf oil. This helps to provide a quick relief. Or add 3-4 drops of this essential oil to the hot compress. Dilute a drop with butter milk and consumed in the morning to comfort gastrointestinal problems. Dilute the lemon oil with lemon juice to support digestion. This oil if applied externally helps to counteract stings and insect bites. The mixture of curry and carrier oil should be applied to cure dark circles and prevents cataract development. It is an aid for nausea. It helps to prevent premature greying and hair loss and maintain natural color of hair. It is beneficial for burns, cuts rashes, wounds and bruises. It also lowers bad cholesterol and level of blood glucose. Due to the high content of antioxidants, it helps to lower oxidative stress and eliminates free radicals. Do a patch test before using it. An allergic people should avoid its use. Curry leaves possess various medicinal values which are known since centuries. 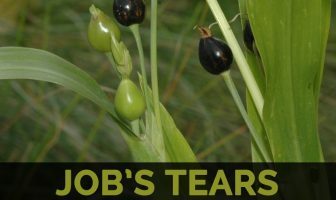 It is usually used as an ingredient for foods and has become a vital part of skin care products and hair care oils. It vitalizes the hair growth because it contains required nutrients, antioxidants as well as amino acids. It also prevents the thinning of hair strands. It acts as a great stimulant for growth of hair. Native Curry leaf trees are accustomed in the waste land and forests in the Indian subcontinent other than Himalayas. It is widely distributed in Ravi river of Pakistan, Chittagong in Bangladesh, Assam in India and Tamil Naidu in India. It was expanded to South Africa, Malaysia and Reunion Island. It helps to comfort gastrointestinal problems. It cures dark circles and prevent cataract development. It is helpful for nausea. It prevents premature greying of hair, hair loss and also maintains its natural color. Use it after doing a patch test. The people allergic to curry leaves should avoid its use.